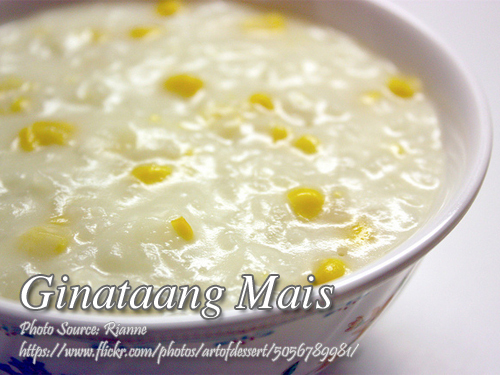 Ginataang mais is a Filipino dessert or snack made from corn kernels, glutinous rice, ordinary rice, sugar and coconut milk. 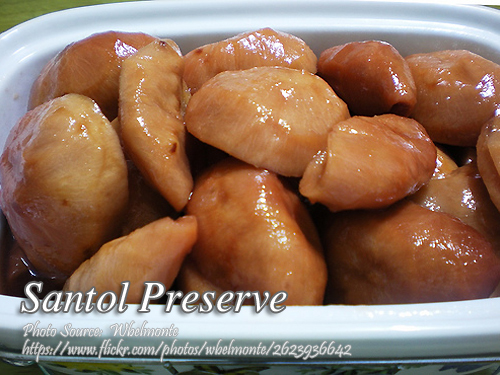 Cooking this snack is very simple and requires just a few ingredients. The only tedious part is extracting the coconut milk. But there are vendors in the wet market who sells coconut milk already extracted and supermarkets also have coconut milk in cans or in powder form. But in my opinion, fresh coconut milk taste better than those in cans or powder form. To give you a brief cooking instructions, first, extract the coconut milk. You just need to put 1/4 cup of water per piece of grated coconuts. For three coconuts, you need 3/4 cups of warm water. Set aside the first extraction (coconut cream). Repeat the first process, this time you need 4 cups of water, then you have the second extraction (coconut milk). Set aside. Then repeat again until you get the third extraction. Boil the rice using the third extraction until half cooked. Then add the corn and second extraction. Cook until rice is tender and add the sugar to taste. Remove from heat then add the first extraction (coconut cream). 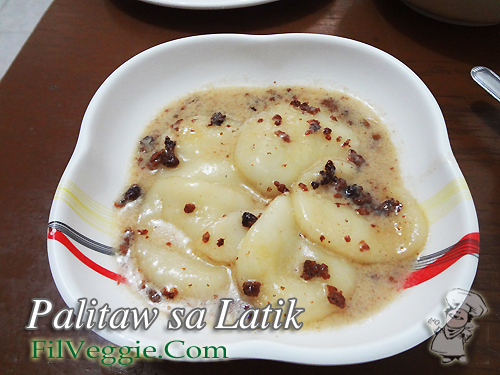 Boil washed malagkit and rice in third extraction of coconut milk. When rice is half-cooked add corn and second extraction. Cook until rice is tender, stirring occasionally.